Life has been crazy. How’s yours? Summer is here and I would like to share with you something my kids love. I was not planning on making these reusable squishy balloons until my patience went out with the little plastic balloons. I was constantly picking up the little plastic balloon pieces everywhere, it caused me headaches and backaches. So, to save some money and frustration in the long run, I opted for the greener version for environment sake and my wallet sake. Let’s make some crocheted balloon for mama’s fun craft time. Bonus point is the kids get to enjoy the finished products. Win – Win. Join me to make these crochet balloons with my free, simple and easy pattern for outdoor endless fun. Yes, you heard it right. IT’S FREE!! Summer is hot in Texas and my kids are constantly wanting to get soaked. Pool time had been resulted in sunburns even sunscreen was applied. Yikes! We will go swimming again but may need to wait until evening next time around. Back to the pattern, I finished the written pattern (see below) and will work on editing the video tutorial soon (will post link here when ready). You can subscribe to and get notification from my Youtube channel now (click here), so you will be amongst the first to know when my latest videos are published and never miss out. 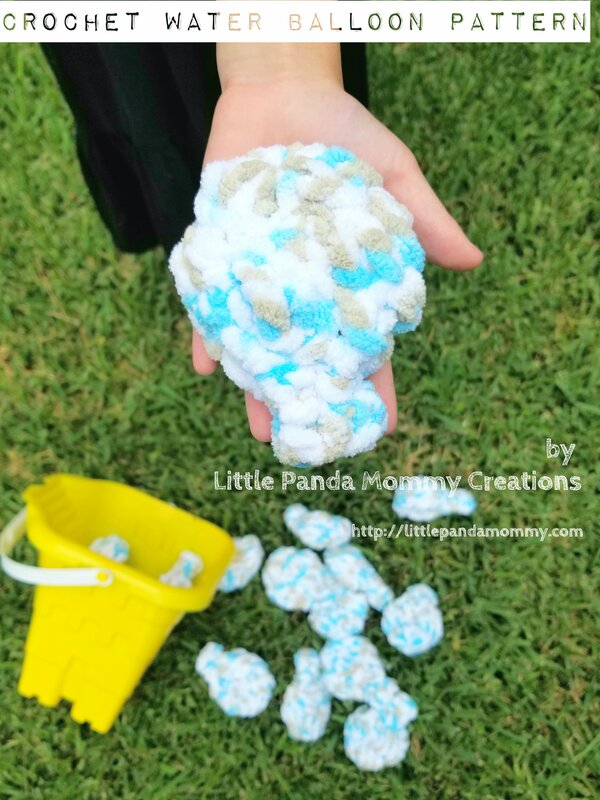 This entry was posted in Patterns and tagged Creations, crochet, crochet water balloon pattern, Free Pattern, how to make crocheted water balloon, Little Panda Mommy Creations, patterns, reusable, water balloon, water sponge on June 28, 2018 by littlepandamommy.